Public bureaucracies across the globe face a converging, escalating crisis and they have fewer resources to respond to growing needs. Our digitizing world and its disruptive technologies is providing both vast opportunities and threats. There is a massive, urgent task ahead for bureaucracies to help create a fairer more equal world. They need to be more imaginative. A city will fail if part of the system is uncreative. There is a demand to shift from representative democracy to participative citizenship and democracy. The rise of civic movements is a reflection of this. We are in the midst of redesigning the world and all its systems for 21st century conditions. Its principles should be to bend the market to bigger picture purposes. This needs a bureaucracy that can reclaim a distinctive leadership role, but framed in a 21st century context. Increasingly complex problems demand new ways of thinking and problem solving. To make this happen is less about technical innovations and more a shift in culture and social innovation. There is a reservoir of hidden potential and talent locked up in public bureaucracies. The inability to tap this is wasteful. People can do much more if given the chance. This can unleash their discretionary effort - the desire to do more than you need to. But hard wired approaches constrain what is possible. 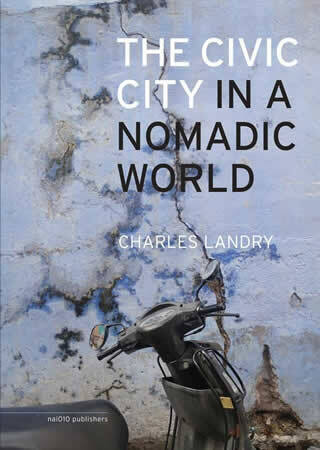 There is a direct link between the creativity of the bureaucracy and the success of a city. Our overall aim is to shift things from a ‘no, because’ culture to a ‘yes, if’ culture – one that captures possibilities and potential as behind many great projects there is a creative bureaucrat. Innovative initiatives and experimental bureaucratic cultures are on the rise across the globe and we describe many. We explore these ideas primarily through the lens of the ‘lived experience’ of bureaucrats. Here we find examples of heroic courage but also of misery. 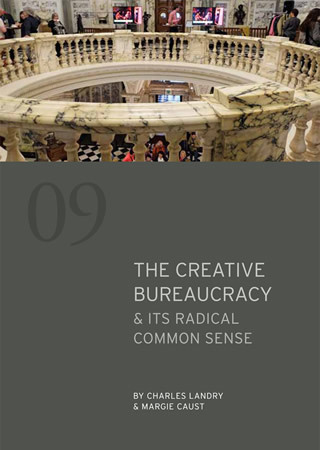 Creative bureaucrats can, as individuals, shape cities. But a critical mass can reshape the bureaucratic system itself. Our aim is to trigger a movement of bureaucrats who demand more from their work environments. Some already reflect a generosity of spirit. This civic creativity can help communities bridge divides and find ‘the common’ in our quest to build better places to live. "Charles and Margie look at the possibilities of reinventing our bureaucracies in an insightful way. Very helpful and important." Amalia Zepou, vice-mayor, Athens. Charles Landry and Margie Caust.